In my continuing experiments using polymer clay as a medium, I've enjoying creating the look of certain other materials, in this case Bakelite and Turquoise. 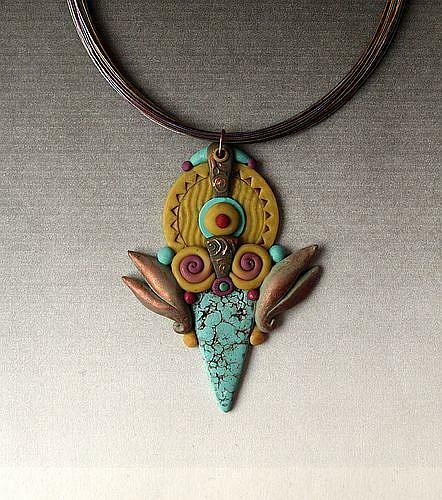 Polymer clay is an amazing medium that has only been in existance for a few decades. In that time artists have created increasingly sophisticated techniques, mimicking those used in glass, metal and other mediums.